Bunking Boards allow you to easily organize your campers into Divisions and Bunks. Each camper's name appears on a tile that can be dragged and dropped. You can create separate bunking boards for male and female campers, or have mixed gender. However, before setting up bunking boards you can change the bunking terminology to be customized for your camp. 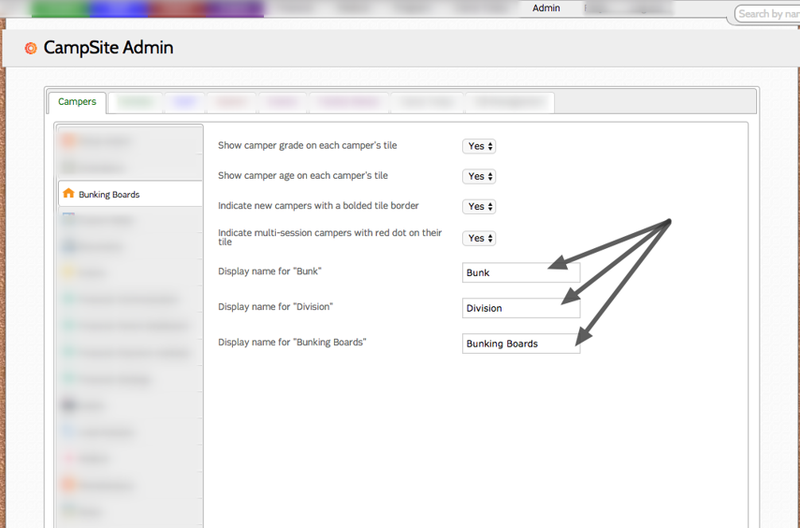 You can configure these custom terms in Admin>Campers>Bunking Boards. 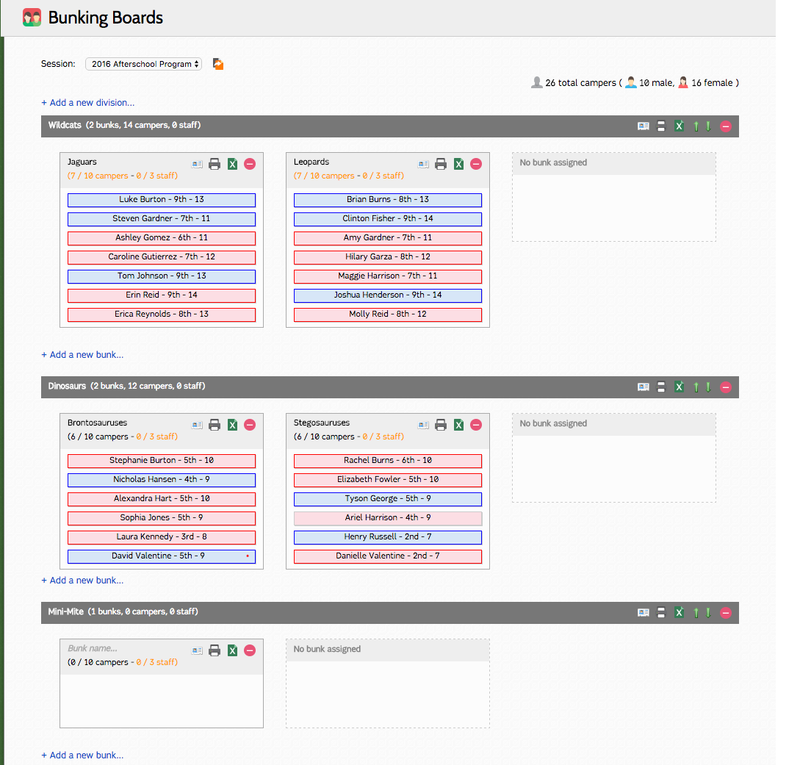 To access Bunking Boards, select "Bunking boards" from the Camper dropdown menu on the navigation bar. Click "+Add a new division..."
Enter the name of the new division. The new division has been created. To add a bunk to the division, click "+Add a new bunk..."
Enter the name of the bunk. Select the max number of campers. Select the max number of staff. The new bunk has been added to the division. Double-click to edit the maximum number of campers in the bunk. Double-click to edit the maximum number of staff in the bunk. The maximum capacities are now indicated. Note: Orange text indicates that there are fewer than three spots available. Once capacity is reached, the text will turn red. Continue adding bunks and divisions for the Session.